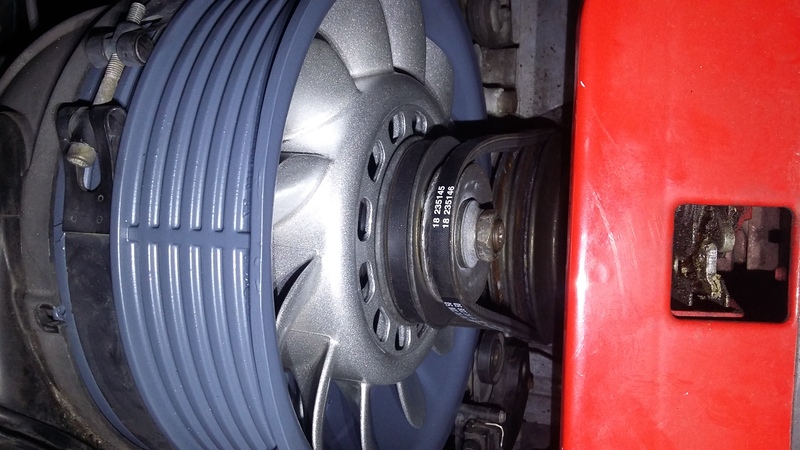 911uk.com - Porsche Forum : View topic - ordering replacement fan bearing, size? 911uk.com Forum Index > 993 (1993 - 1998) > ordering replacement fan bearing, size? Posted: Sun Feb 10, 2019 11:23 am Post subject: ordering replacement fan bearing, size? Hi guys, just in the middle of alternator fan and shroud refurbishment, rather than pay a rediculous amount of money for the bearing and hub from porsche or aftermarket suppliers has anyone measured and ordered the bearing from a supplier? I don't trust my measuring skills. We did a group buy back in June last year and as Zingari says WMTBearings is the company to go to. Here's the link for your info. Thanks guys, great info, will get that ordered asap, especially as the start of warmer weather is on its way, brighter evenings etc. Hi guys, alternator all back together, new voltage regulator and fan bearing installed. I am having trouble with the belts, porsche have supplied two both the same, alternator and fan, the alternator belt is to slack even with all the shims removed? Hi, which engine number is installed M64.?? there are different "Schmalkeilriemen" of the length for that. Whereas for a Coupe they are both the same on the Type 911 site. I bought the above and they fitted just fine. so it looks like I have the right belt? I emailed the parts guy at porsche, he says it may be to do with a tech update that mean the pully halves also need to be replaced. He's going look into it and let me know. OK that sounds right to me. I'm attaching the "Pulley Update" from Porsche for your info. Hi thanks for that, it's a shame porsche didn't realise that the pully needed to be changed when they gave me the new belt, pulley arrives on Thursday, so fingers crossed for a drive at the weekend.